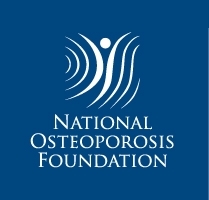 In this large-sample study, we demonstrated that osteogenesis imperfecta (OI) significantly impaired the quality of life (QoL) in children. Moderate/severe OI patients had worse QoL scores than patients with mild OI. Furthermore, the QoL for OI patients was correlated with the presence of pathogenic gene mutations. Osteogenesis imperfecta (OI) is a hereditary disease characterized by multiple fragility fractures and progressive skeletal deformities. No detailed investigations about the quality of life (QoL) have been carried out in a large sample of patients with OI. We evaluated the QoL and its influencing factors in a large and well-characterized OI cohort. We used a validated questionnaire of PedsQL 4.0 to evaluate the health-related quality of life (HRQoL) of children and adolescents with OI. We compared HRQoL among patients with OI types I, III, and IV. The relationship between HRQoL and pathogenic mutations in candidate OI genes was investigated. We also evaluated the influencing factors of HRQoL in OI patients. A total of 138 children with OI and 138 healthy controls were enrolled in this study. The HRQoL scores of OI patients were 64.4 ± 30.0, 71.9 ± 22.2, 75.7 ± 24.8, 63.7 ± 24.5, and 68.9 ± 22.0 in physical, emotional, social, school functioning, and total score, respectively, which were significantly lower than those of healthy children (86.5 ± 12.7, 83.3 ± 16.0, 92.1 ± 11.8, 87.5 ± 11.8, and 87.3 ± 10.7, all p < 0.01). Moderate and severe OI (type III/IV) patients had poorer HRQoL scores than patients with mild OI (type I). Gene mutations inducing qualitative defects in type I collagen led to worse HRQoL scores than those with quantitative defects in type I collagen, except in emotional functioning. 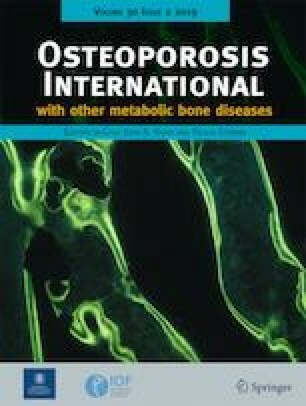 The total HRQoL score was positively correlated with family income, lumbar, and femoral bone mineral density (BMD) Z-scores and negatively correlated with disease severity and fracture frequency. HRQoL was significantly impaired in OI patients, and patients with more severe OI had poorer HRQoL scores. For the first time, we found that children with qualitative defects in type I collagen had poorer HRQoL scores than those with quantitative defects in type I collagen. The online version of this article ( https://doi.org/10.1007/s00198-018-4801-5) contains supplementary material, which is available to authorized users. We thank the staff in the radiology department for measurement of the bone mineral density and interpretation of X-ray films of bone. We also thank the patients with OI and healthy children for completing the questionnaires. This study was supported by National Natural Science Foundation of China (No. 81570802), the National Key Research and Development Program of China (No. 2016YFC0901501), and CAMS Initiative for Innovative Medicine (2016-I2M-3-003). The study was approved by the scientific ethics committee of Peking Union Medical College Hospital.